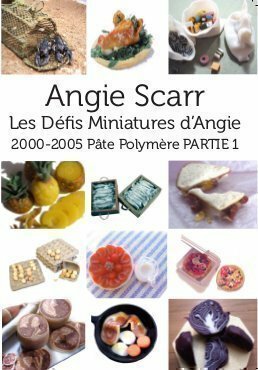 index - Angie Scarr Miniatures, Crafts and Nail Art Miniaturists, Nail Artists and Crafters - Welcome to the site! 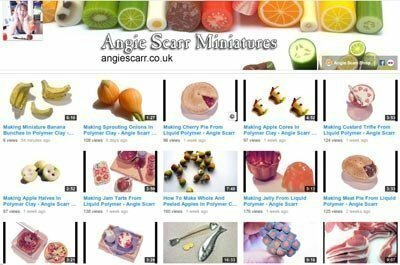 Miniaturists, Nail Artists and Crafters - Welcome to the site! Hi, some people have experienced problems making an account, these are only needed for large trade orders. Simply put the items in your basket and provide an email address when you checkout. The rest is automatic. 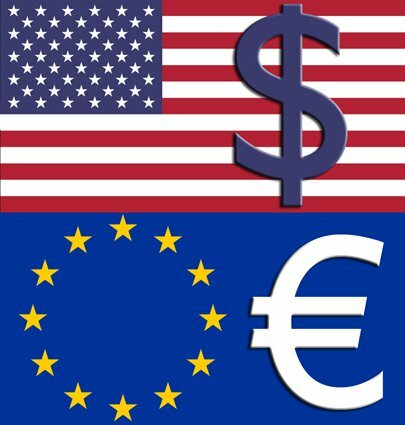 Hi we have just launched the website in Dollars for customers outside of Europe and Euros for those inside. This makes it easier for customers outside the EU to see the final price without local taxes. 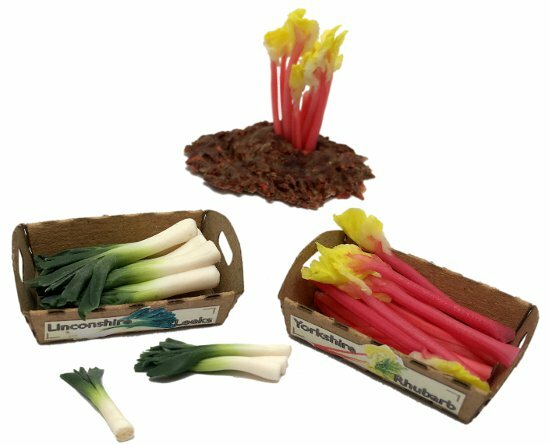 We have a forced rhubarb clump, new style rhubarb and leeks crates on the Miniatures Market Place page and 2 new kits for vegetable boxes and tea trays on the NEW Kits page. A whole new range of laser cut kits and stencils designed by Angie and Frank, this first batch to make garden items and flowers. 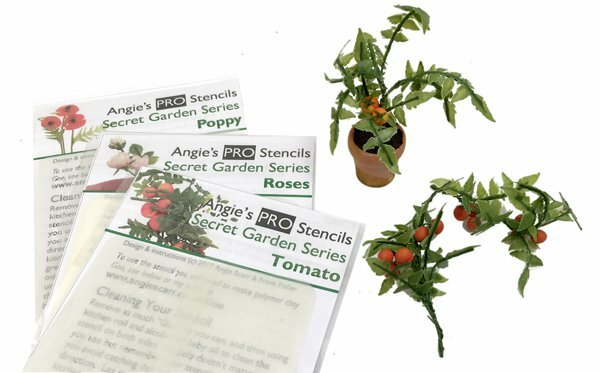 Get them on the NEW Stencils and NEW Kits pages and finished items on the Finished Kits And Flowers page. 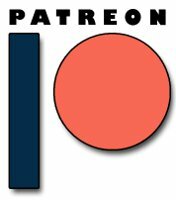 Starting at only $1 per month, Patreon is my new subscription platform to allow my students and friends to support me and in return get a series of projects, little gifts and virtual and video peeks into my workshop on a day to day basis so that you get to know all the new ideas before anyone else does. Often before they’re even fully formed! Your support will help me release more content and always to you first! This is such a young idea and such a new journey why not hop on with me and help me make it a success. As an added bonus you'll be entitled to 15% off all purchases on this site, just mention Patreon in the additional details section of the order. If you are about to order anyway what have you got to lose? 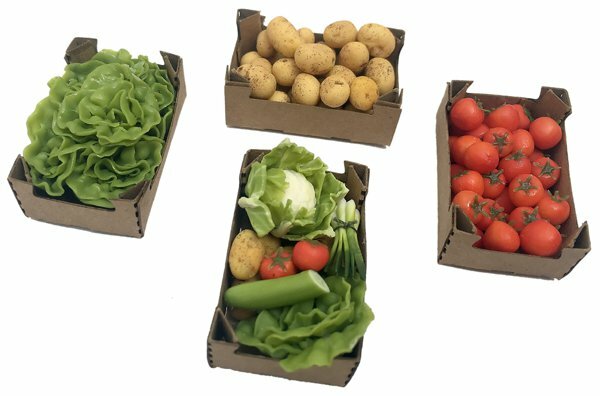 This week we have bananas, leeks, cabbages and caulis on the Usefresh Canes Page. When they are gone, they are gone so get them now! Yayyyy! I’d love it if you all went to Amazon through my website link below (and I’ll tell you why in a moment) and bought it today or ASAP. This is because a big rush of orders helps my Amazon rankings and means that its more likely to be suggested to more people. 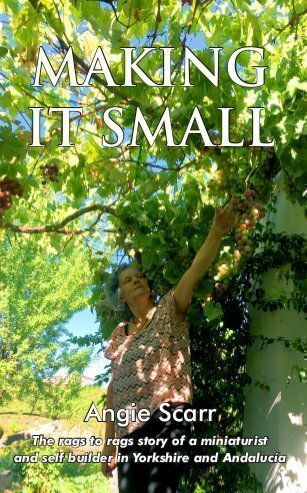 If you enjoy it (and if you’re a miniaturist, or a serial creative, or interested in self building or living abroad, or someone with social phobia and/or anxiety issues then you should) please leave a review because that helps too. Definitely one of a kind! I’m clearing out my small workshop to make space for my new book project So I’m offering the original parts of the starring gardens from my Gardens Book. Because I’m not a careful collector just a maker/inventor there are a few slightly damaged or missing pieces but these are explained in every case. Offers around £175 (GBP) including postage. Option for the buyer of this part on the other two base parts and remaining plants and the fencing panels as seen in the book. If you are a fan of my books and want to be first in line for the other gardens and finished parts from past and future books please let me know. I finally got around to releasing my 20 something year old album on iTunes & Amazon. Here's 2 tracks from the re-compilation which includes 4 previously un-released self-penned tracks to compensate for four removed cover versions. Danger zone. Title track from my 20 year old album. Worries On My Mind with Pat Missin on harmonica. From the re-compilation of my first CD Danger Zone which now includes 4 previously un-released self-penned tracks to compensate for four removed cover versions. 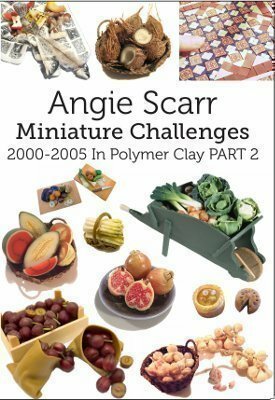 We are releasing a whole archive of howto / tutorial videos dating from the 90s to present day on the Angie Scarr Miniatures YouTube Channel. 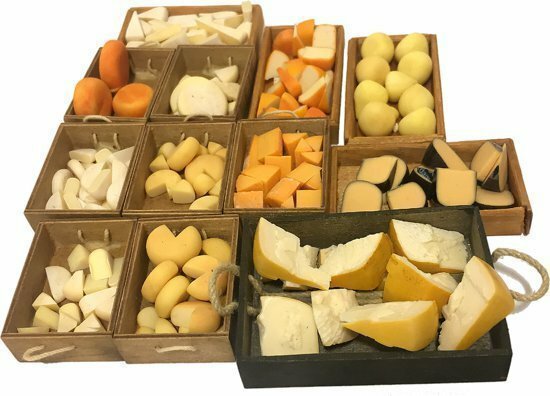 There are all kinds of meat, fish, fruit and vegetables, pastries and tarts already online. Shortly we will add new footage for using the moulds. Sometimes we think there is nothing left in the miniatures but then under something else I unwrap this after a fair and look, we do! I'm loving making polymer clay roses with my new stencils, and they were popular at Madrid. I decided to make some of them into little posies and offer one each day. I'll mark as sold on FB if and when so do let me know if you want one (or one like it) None will be exactly the same of course. 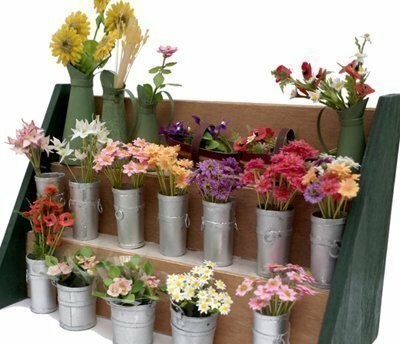 You can also ask me for specific bunches like, for example a copy of your own bridal bouquet etc. Here is today's offering. Pink peony posy in a small vase. All stencilled polymer clay. 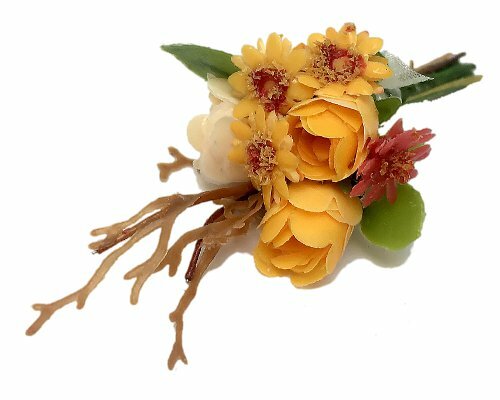 Get them on the Finished Kits And Flowers page. 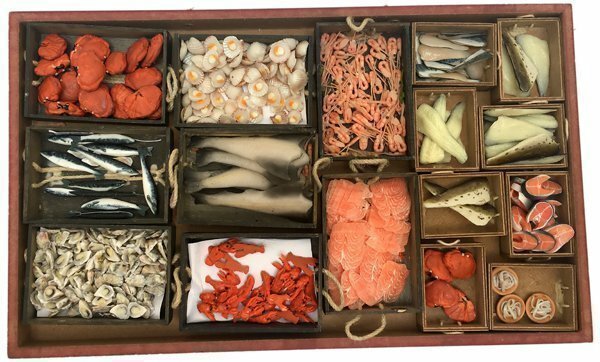 New this season, a set of moulds and veiners for vegetables, leaves and flowers and shellfish. The scallop veiner, a mould for aubergine/eggplant tops, a veiner #7 for marrows or vines also in micro size #8 too. 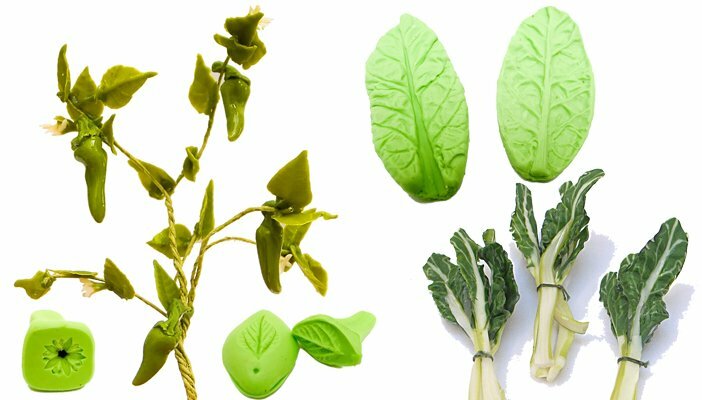 The Calyx mould for flowers and peppers etc., Leaf Veiner #5 push mould for peppers and beans etc., Leaf Veiner #6 for chard, beets etc. Get them on the Craft Tools and Moulds Page. A collection of flexible moulds available from the Craft Tools and Moulds Page. Minitmold is a foodsafe material that may even be used for chocolates etc. All available from the Canes, Fine and Superfine Slices Page. 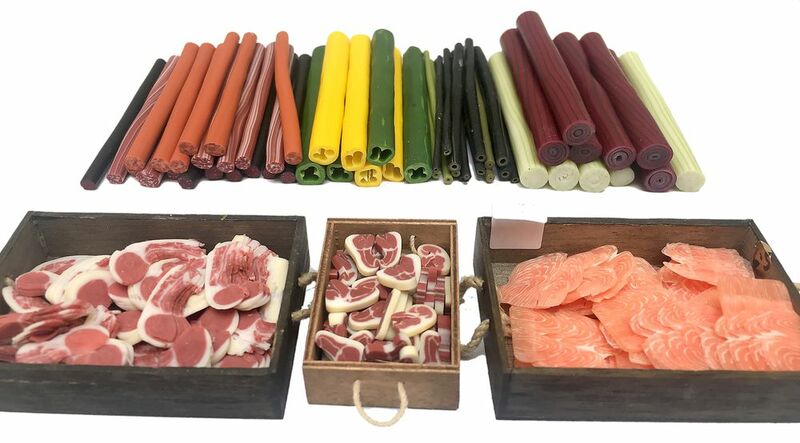 Canes: For the DIY miniaturists and craft professionals, to be sliced with single sided blades. Fine Slices: These are for miniaturists and crafters who don't want to slice for themselves. Superfine Slices: These are specially designed for nail artists, and can also be used for home application, see instructions at the bottom of the page. other sizes (medium, large) are for art and craft use. Facebook has converted the page to a business page (against our wishes, which also doesn't allow us to see any of your work). FACEBOOK click here to follow my updates on the Angie Scarr Miniatures Page for the latest gossip and occasional exclusive offers! FLICKR click here to see my photostream. We hope to have time soon to produce a new demo not on this site! Using The Site You can order straight away without account details - Paypal will provide all of them when you pay. For trade customers, at the left of the page are options for Create A New Account to let you register, and My Account to track orders. Traders should register as such and use trade ordering (from My Account) for any wholesale purchases. News: Angie is taking a break to write books and make new products. All orders will be fulfilled by Frank's Craft Shop. We have started to reorganise the website now that I'm diversifying into other craft areas. Or, rather, concentrating on polymer clay caning! There will now be new sizes for those interested in other scales such as Playscale ('Barbie scale'), nail art, scrapbooking and other crafts which use my canes and the new 'superfine' slices and 'art veneers'. Please keep looking in to see what's new. Remember many designs don't get repeated. So, if you see it ... and you want it ... Get it! Site Redesign We hope the new layout makes sense to everyone now, with all the canes and slices in one place to avoid confusion. Each item has its type (fine slice, superfine slice or cane) and a size from 1/24, 1/12th, 1/6th to larger craft sizes. The trade page in particular is now much clearer to help find the right type of item. We have finally added our Links section, if we missed you out feel free to get in touch via the contact form. The new layout is now a lot easier to use. Spain Frank and I have moved house to Spain and have now transitioned to being a Spanish company. However we will still be charging in pounds and functioning just like an English company. We now send a PayPal payment request when the order is ready to ship. You do not need a PayPal account to pay by card. Ordering You can now order using Paypal. No money is taken until your order is packed and ready to dispatch. When the order is ready we will send an email to your registered address. NB European trade customers can now order using bank transfer also. The new website and it's management system is working magnificently well. Almost like having an extra unpaid admin assistant!. See Frank's site www.networkadvice.co.uk for details if you are interested in having a similar management system which can be particularly useful for the small but busy craft business. Frank also writes smaller, simple contact only pages for a very reasonable price, and all points in between! 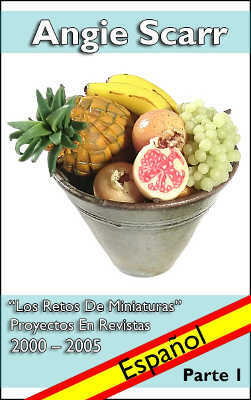 Postage charges We now have a small sample size of Minitmold available just under the weight limit for excessive postal charges in Spain. Get it on the Craft Tools and Moulds page.